A three-day musical extravaganza at the Vortex this month will celebrate the legacy of jazz legend Jelly Roll Morton on the 75th anniversary of his death. The Tower Hamlets-based Grand Union Orchestra will be hosting a range of eclectic performances that reflect the depth and breadth of sounds of London’s musical landscape. The performances will be inspired by New Orleans jazz but, as ever with the Grand Union Orchestra, retain a ‘world music’ twist. The weekend of music begins on the evening of Friday 8 July with a world jazz compilation called Bengal Tiger, Shanghai Dragon, which is built around ancient Chinese court music, Indian classical ragas and Bengali traditional song. Then, the following day, Latin African jazz will take centre stage in African Shores To The New World. 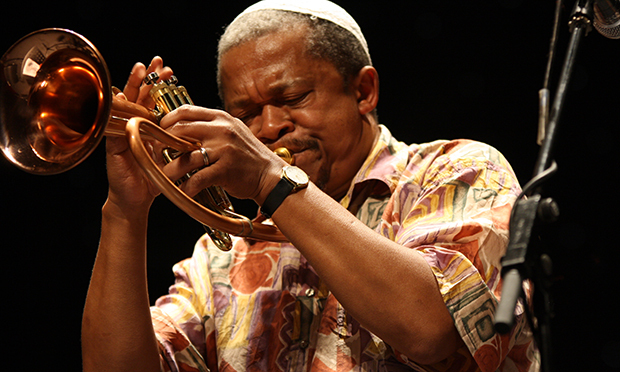 On the trumpet will be South African Claude Deppa, one of the UK’s most influential jazz musicians, with Tony Kofi, winner of the 2008 BBC Jazz awards for best instrumentalist and Harry Brown on the trombone. Together their African and Latin rhythms will aim to tell the story of the Caribbean and USA during the slave trade. The closing show on Sunday 10 July will feature the voice of Maja Rivic in The Diamond King and the Voodoo Queen. The house band will lead the festivities to an end with songs composed by Grand Union Orchestra chief Tony Haynes to celebrate the lives of other legendary jazzbos, from Buddy Bolden to Charlie Parker. The orchestra will also be holding free workshops for the musically-inclined as part of the Dalston Music Festival.